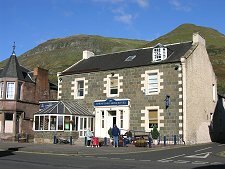 Alva lies at the foot of the Ochil Hills where the Alva Burn emerges from Alva Glen. In an age when rapidly flowing water was a valuable resource, it was inevitable that ways would be found of harnessing the power of the burn. 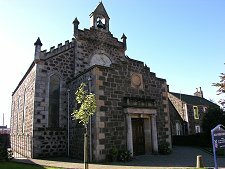 In Alva's case it happened early, and a settlement with a church was already established here by 1260 when control of the local estates was granted to Cambuskenneth Abbey near Stirling. After the Reformation, the local estate came into the ownership of the Erskine family. At the time the grandest residence in the area was a tower house built much earlier just to the east of the town. In 1636 Sir Charles Erskine incorporated this into the much larger Alva House. The 1700s saw Alva expand considerably. 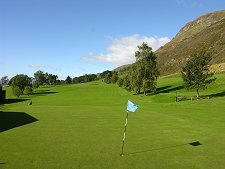 In the early years of the century silver was found in Alva Glen and a mine was opened by Sir John Erskine to exploit it, using miners from Leadhills. The silver ore that emerged was the purest ever found anywhere in Great Britain and made Erskine's fortune before the vein of ore ran out. At its height, in the years around 1710, silver to the value of £4,000 per week was emerging from the mine. That was a vast amount of money at the time. Some of the money was invested in developing the Devon colliery, to the south of Alva, which started production in the mid 1700s. Erskine also built a short canal to link his colliery to the River Devon. The colliery later produced ironstone as well as coal, and a local ironworks had been established by the end of the 1700s. 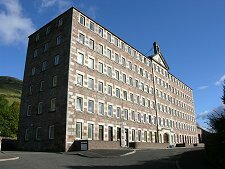 The first of Alva's "modern" woollen mills was established in 1798 on the banks of the Alva Burn, and other mills rapidly followed. The largest of Alva's mills, the Strude Mill, began work in 1825. The textile industry in Alva diminished dramatically in the second half of the 1900s. The magnificent Strude Mill was always the most impressive of the towns mills, and it remained in use as part of a larger complex until 1976. It was converted into flats in 1987 and still dominates many views of the town. The uphill area of Alva shows clearly the social divisions in the town in the 1800s. 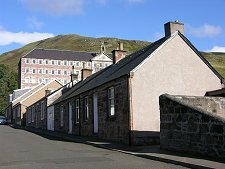 Rows of single storey millworkers' cottages line many of the north-south streets, while the east-west Ochil Street is home to the grand houses originally built for the millowners. By the early 1800s Alva House had been purchased by the Johnstone family. They greatly expanded it in about 1820. The house passed to Miss Carrie Johnstone in 1890, but on her death in 1929 it could not be sold. It was destroyed by being used for military target practice during World War II. 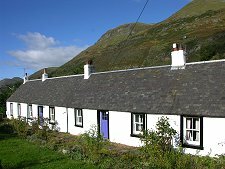 In recent years a modern and slightly more modest Alva House has been constructed in an imposing position to the east of the town. Some of the best views of Alva are from the south, along the B908 from Alloa. 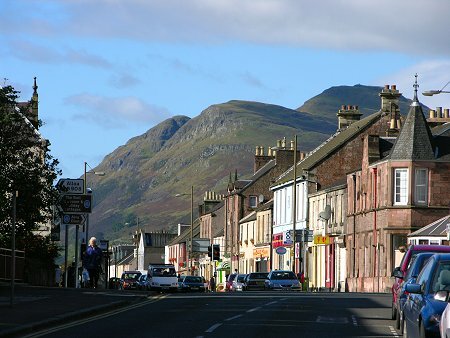 From here you see the town set against the background of the Ochil Hills rising to their highest summit, Ben Cleuch.